With PCM, each student-athlete has their own personal website which houses all the information college coaches desire when evaluating possible recruits. Tailor-made to reflect the athletes greatest strengths, both on and off the field, the goal of each website is to present the athlete in the best possible way and differentiate them from other possible recruits. 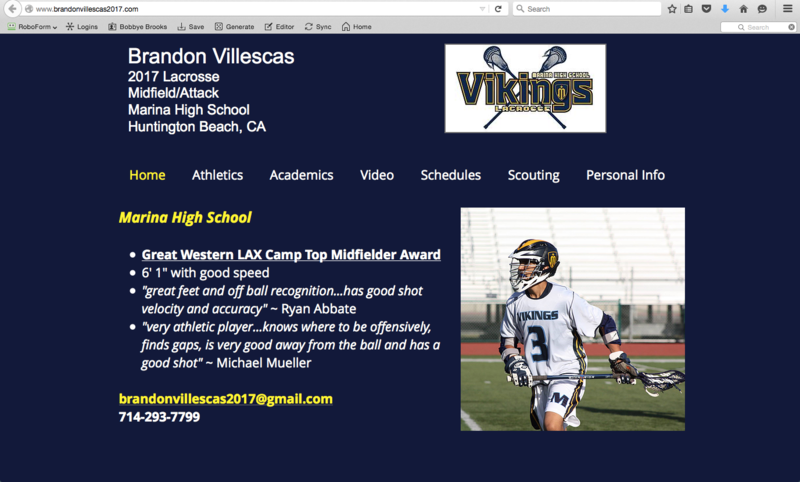 Each website is carefully constructed with information and input provided by the student-athlete and their parents. PCM also works with the player’s coaches to get the full picture of what the student-athlete is like on and off the field. Furthermore, websites are continually updated so as to reflect athletic or academic improvements which would present the student-athlete as a better recruit.